India’s progressive cities are getting smarter. But will these smart cities be necessarily sustainable? India’s smart cities will be incubators of innovation, enterprise and social progress. However, the pace of change – particularly at a time of global economic, environmental and social uncertainty will create a raft of challenges to sustainable development. Smart, sustainable city transformations are complex and difficult, requiring a holistic approach, encompassing long-term planning, partnership and engagement. BW Businessworld Smart Cities Conclave & Awards is a platform that endeavors to engage smart cities thought leaders and innovators to bring forth smart and sustainable ideas that can link our progressive cities to solutions that are best suited for them. Every growing industry requires a platform of recognition that celebrates the best work out there. Transformational ideas, cutting edge execution and much more. Solutions and that improve lives and stories that inspire other players to do better. With a 35 year old legacy of credibility and a leaders reputation in business circles, BW Businessworld finds itself in a unique position to build this platform of recognition. Winners from across 17 categories that would have made it through several rigorous rounds of evaluations. Bilbao Urban & Cities Design was selected as speaker to explain in a solo session the internationally awarded Bilbao Urban Transformation Model and the new strategical planning of the city. 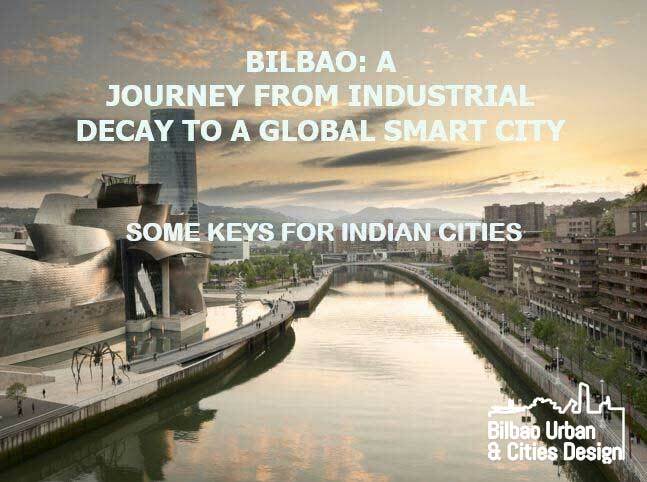 In this occasion, Xabier Arruza member of the Advisory Council took part with a speech under the name of “BILBAO: A JOURNEY FROM INDUSTRIAL DECAY TO A GLOBAL SMART CITY – Some Keys for Indian Cities”.